People visit an ethno-cultural complex in the Aldyn Bulak area during sunset on the bank of the Yenisei River outside the village of Ust-Elegest in Tuva region, Southern Siberia, Russia, October 7, 2015. 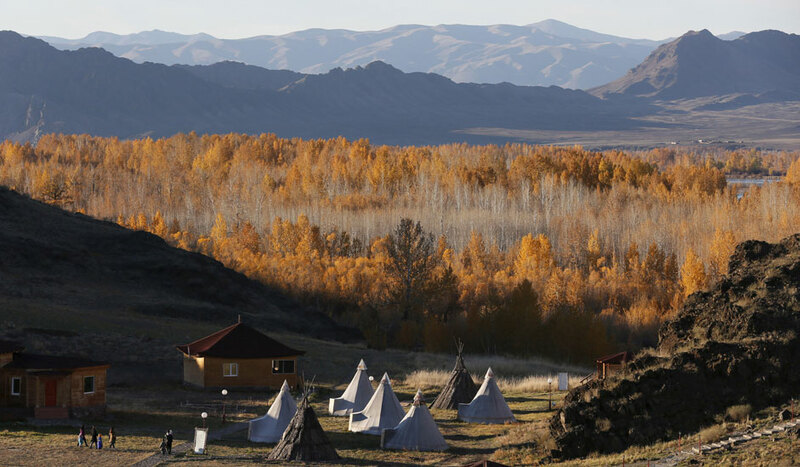 The region is inhabited by Tuvans, historically cattle-herding nomads, who nowadays practise two main confessions - Buddhism and Shamanism. People visit an ethno-cultural complex in the Aldyn Bulak area during sunset on the bank of the Yenisei River outside the village of Ust-Elegest in Tuva region, Southern Siberia, Oct. 7, 2015.